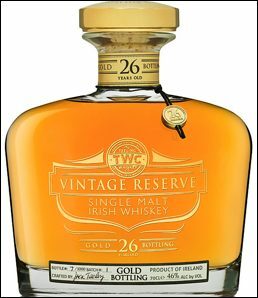 The Gold Reserve 26 Year Old will retail for approximately €475 (US$600, £400) and the Platinum Reserve for approximately €1,500 (US$2,000, £1,200) The products are initially only available in Ireland through Dublin Airport and the Celtic Whiskey Store and will then be rolled out to select international markets and travel retailers. The bottle design and manufacture was done in partnership with Glencairn Crystal. The presentation cases were designed by Appletart Design and sourced through the Abercorn Trading Company.